Since 2016, we've learned in drip-drip-drip revelations how our social media giants, especially Facebook, have made us disconnected — divided, discordant, isolated into like-minded silos, and manipulated by hackers working for the Kremlin. Why it matters: For many years, becoming "connected" has been the zeitgeist — to long-lost family, friends, whole new communities, potential business partners at home and abroad, perhaps a romantic interest. 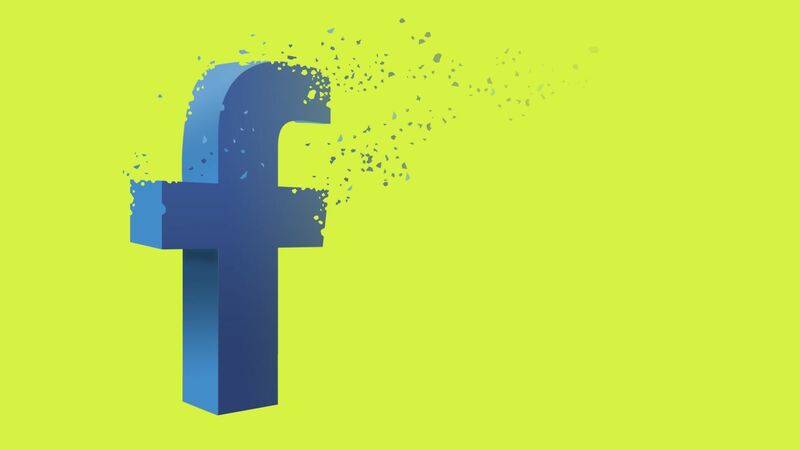 We asked the question of experts from a number of fields — what would be the pluses and minuses if you just could snap your fingers and make Facebook disappear? No one cheered the idea of losing Facebook entirely; yet all found something seriously wrong with the current state of affairs. Ian Bremmer, president of Eurasia Group, said a world without Facebook would mean "less time spent online, less addictive consumer-driven behavior in citizens, less algorithm driven personalized-news, less fake news, less political polarization in population. Breathing room for non-social media." But it would also mean "value destruction for shareholders, job losses, negative impact on economy. Ceding social media battle globally to China-driven monopolies. A big win for Tencent/WeChat," Bremmer said in an email. Nicholas Wright, a British neurologist who studies artificial intelligence and politics, contemplating a government shutdown of the platform, said such an action "would be a terrible blow to the U.S. capitalist system. How could anyone trust the Government not to shut down other companies and lay off tens of thousands of workers etc.?" One thing is that it's not necessary to outright kill Facebook, said Scott Galloway, a NYU professor and author of The Four, a critique of U.S. big tech who called for Facebook's breakup under anti-trust laws. But both Galloway and Wright found plenty to like about the idea of Facebook's disappearance, too. "FB has fomented the false notion that connecting the world is a good thing," Galloway said. "We, as a species, are tribal and lies spread faster than truth. With no guardrails or (expensive) human discretion screening content/advertisers, we have offered up the mother of all Trojan horses for bad actors." "Power corrupts, and Facebook is corrupted," Galloway said. More competition would arise absent Facebook, Wright said, and less control of personal data. "Preventing excessive integration of data is crucial to prevent us sleepwalking into constructing authoritarian capabilities," he said. The big picture: The same criticism can justifiably be made against Twitter, YouTube and Google generally, and — in a broader sense — Amazon. Complaints about algorithms and monopolistic behavior are on the rise. But all also have a defense of creating a broadly valued service.